Wed like to thank our Indonesian Tour Operator, Blue Ocean Tours for the wonderful itinerary that they put together for us, as well as the knowledgeable tour guides in each location we visited (Vietnam [Ho Chi Minh, Can Tho, Mekong Delta, Cai Be, Vinh Long] and Cambodia [Phnom Penh and Siem Reap]. Word about travelling during “rainy season” in Indonesia: prepare for that wonderful feeling of having swam (swum?) in your clothes all day. There is no getting around it, unless, of course, you don’t sweat! 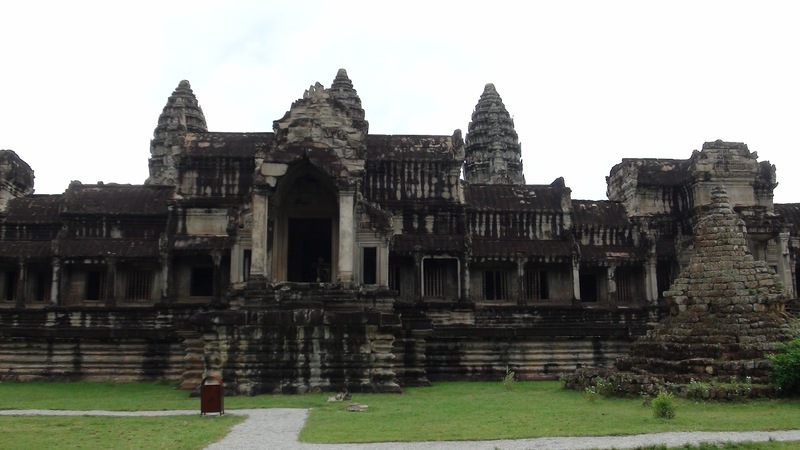 A day’s visit to Angkor Wat Temples simply isn’t sufficint to see most of what is available to see but if you have only one day, you can visit a lot of areas. 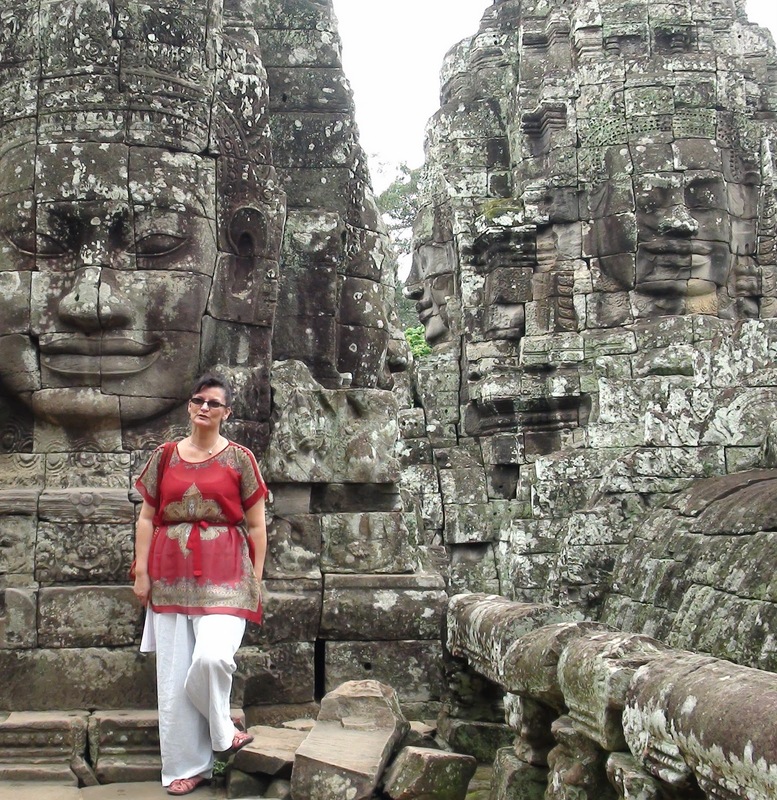 We visited the awesome complex of structures known as Angkor Wat and also South Gate of Angkor Thom, Bayon Temple (my fave), Bauphon Temple, the Elephant Terrace, Terrace of the Leper King (also a fave), Ta Proum Temple and finished the day at Angkor Wat’s main temple. 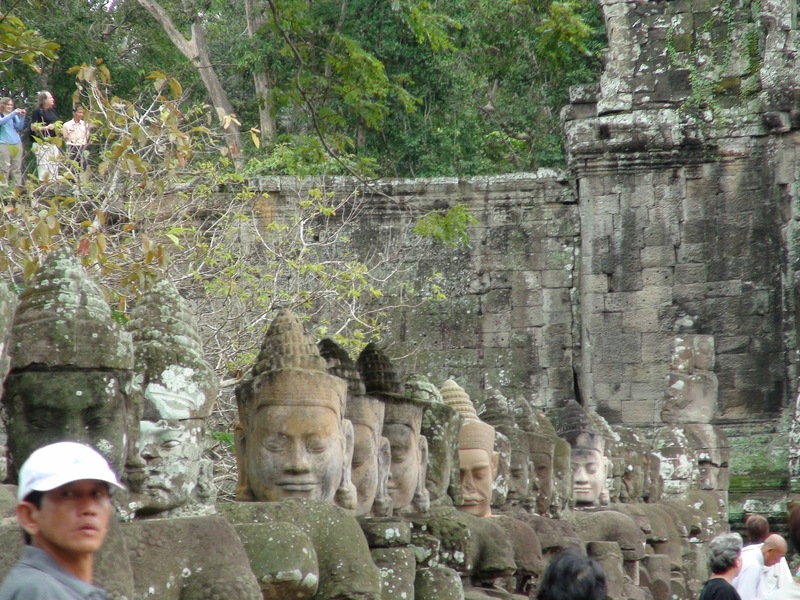 One drawback I suppose to visiting some of the most popular sites within Angkor Wat are the crowds. The pictures depict the gods (left side) and demons (right side) of the Southern Gate entrance and bridge. 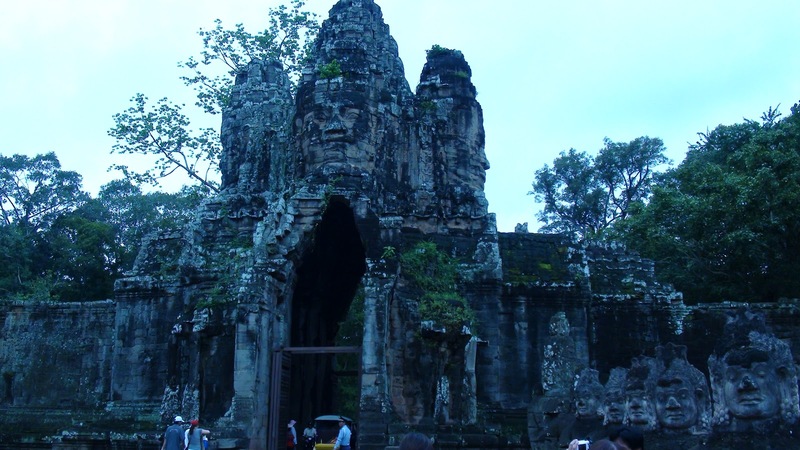 In peak season travellers can expect to stand around in the heat waiting for up to 30 minutes as numerous buses, cars, bikes and even elephants push forward to pass through the narrow gateway at Angkor Thom. 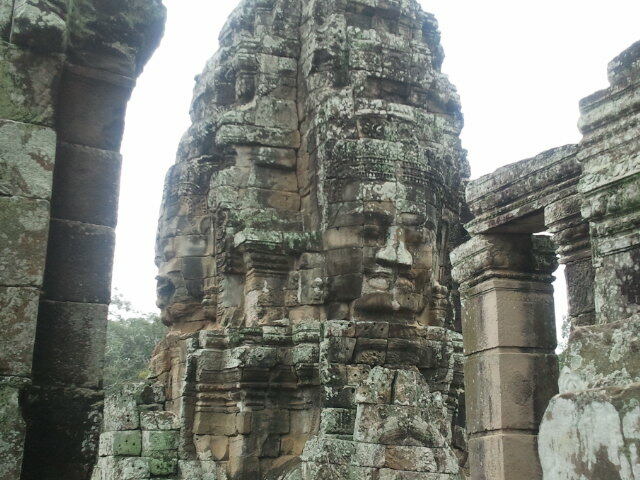 Of all the temples, personally I liked Bayon Temple, for all the thousands of faces atop every single high feature in the temple. 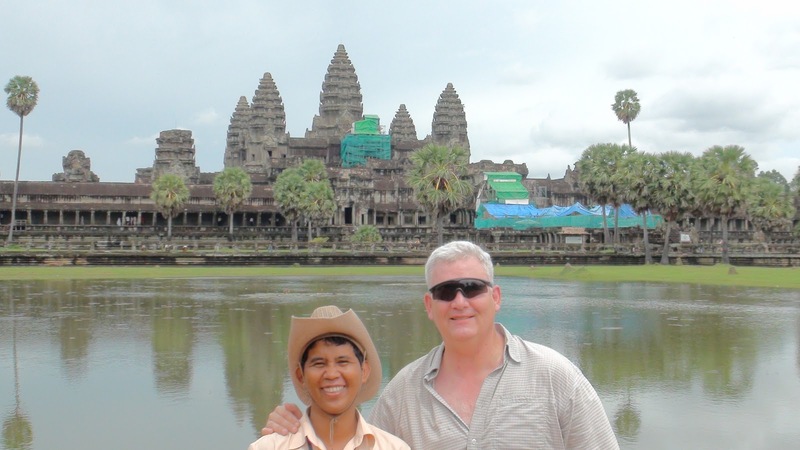 Angkor Wat Temple is magnificent if for nothing more than its immense size. It has a moat that surrounds the temple on all sides, and 5 main gates: East/West/North/South and the Elephant Gate (or King’s gate) which is where the King would have come up to the entrance on his elephant This gate has no stairs to allow the elephant to walk up directly to the gate so the king and his throne could be lifted off and directly into the temple. Angkor Wat reminded me in some ways of Chichen Itza in Mexico for the magnitude of the structures and the planning that went into creating these fortresses for security, for prayer, and for daily living. The jungle like temperatures will definitely make you feel like you’ve been out swimming with your clothes on, and this simply adds to the full Angkor & Siem Reap cultural experience. 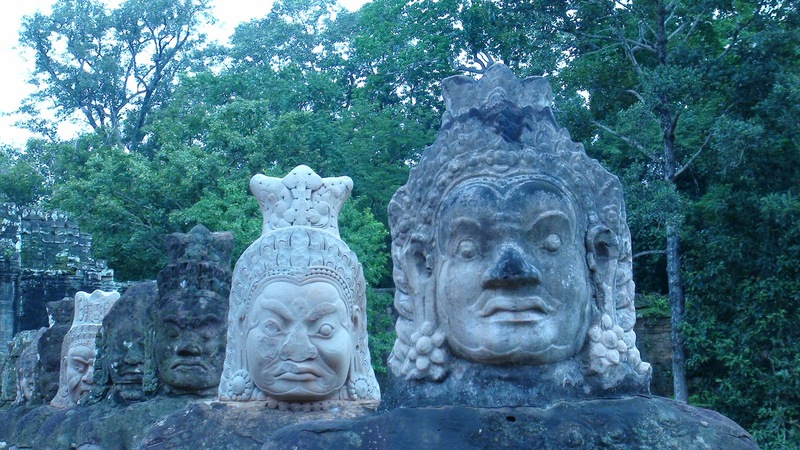 Need Help Booking a Trip to Cambodia? We’ve been there and can help!